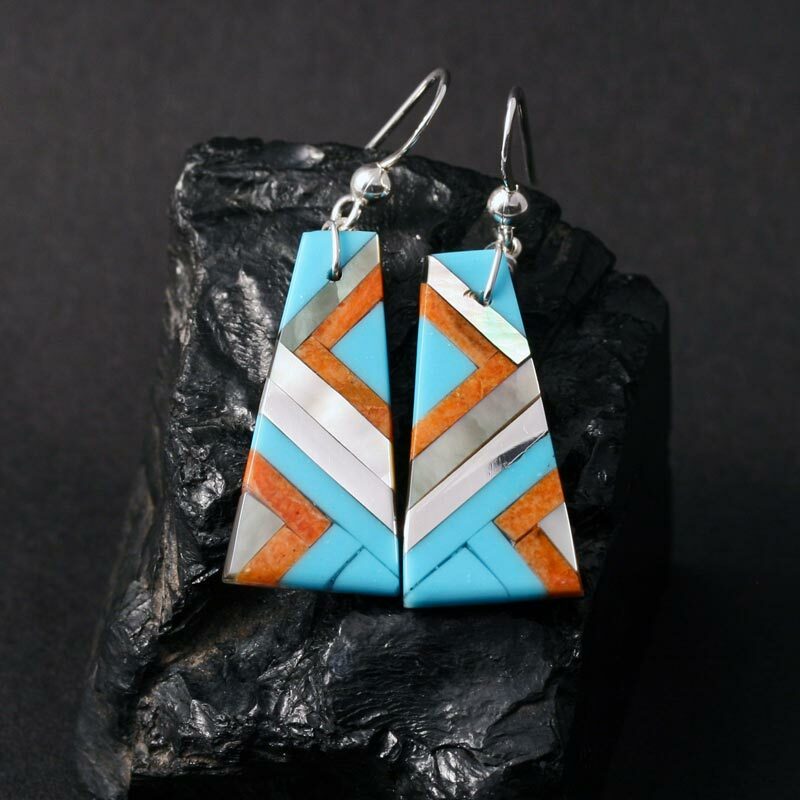 These dazzling lightning earrings are crafted from hand cut tiles of Sleeping Beauty Arizona turquoise, apple coral, mother of pearl and sterling silver. Gifted jewellery designer and maker Stephanie Medina and her son Tanner Medina work together on their one of a kind earring designs. 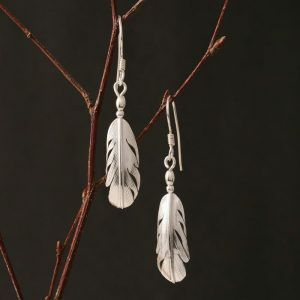 These unique inlay lightning earrings measure 4.2cm in overall length, including the sterling silver ear wire. Stephanie Medina of the Kewa Pueblo tribe is the gifted designer and maker of these splendid earrings. Kewa Pueblo is the largest of the Pueblo tribes and is also known by the Spanish name of Santo Domingo Pueblo. The village is situated between Albuquerque and Santa Fe in northern New Mexico, USA. Stephanie signs her inlay work with a tiny dot of blue turquoise on the back or on the side, as on this reversible necklace. Stephanie Medina is the youngest daughter of the late Rose Medina and the sister of award winning silversmith Jennifer Medina. 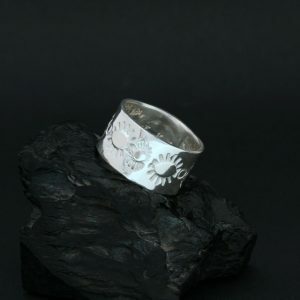 The Medina family have been making beautiful and unique jewellery for Rainmaker Gallery for many years. 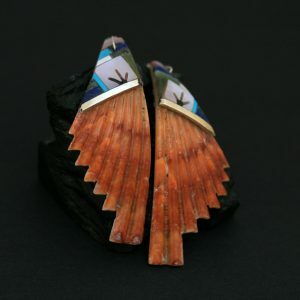 We are honoured to bring you the work of three generations of this family of talented and skilled Native American Indian jewellery makers and designers.